Design is becoming more collaborative. We share, and have to share, methods, techniques, materials, theories and research with other fields and disciplines, to address complex real-world problems. Design education should inform upcoming designers to critically engage the foundations of their field and redefine the role of design in the twenty-first century. Designers must challenge existing paradigms that shape the way they think, formulate and respond to design problems. Design teaching should emphasize experimentation, interdisciplinarity, and social awareness in an environment where students are encouraged to investigate materials, discuss ideas and contextualize work within historic and contemporary practices. We are inviting you to be a part of this week-long conversation about the future of design in education with very special guests. Email: Cathy Nguyen, cathynguyen@sandiego.edu with your questions. This event is made possible by the 2016/2017 Student Success Fee – SDSU. 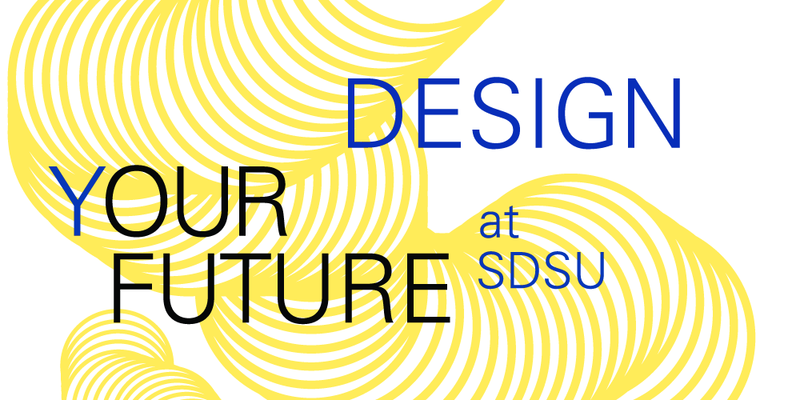 Meet the artists and learn more at SDSU Design Week.